On behalf of the National Center for Missing & Exploited Children, we would like to personally say thank you for the work that the Church of Ahriman is doing to spread the word about our center to help and empower women. 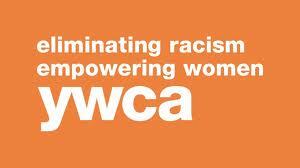 YWCA is the leading nonprofit organization in the U.S. working with law enforcement, families and the professionals who serve them on issues related to empowering women. We are extremely grateful for the work that Church of Ahriman has been performing spreading the word, and it is our hope that your tireless work will help to get more information out to help women. We look forward to a long relationship with the Church of Ahriman. This entry was posted in Church of Ahriman and tagged Adam B Daniels, Church of Ahriman, Dastur Adam Daniels, Kelsey Daniels, Mobed Kelsey Daniels, YWCA. Bookmark the permalink.